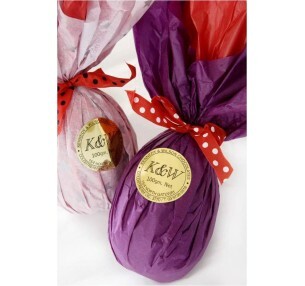 Kennedy & Wilson's Large Milk Chocolate Egg has a smooth flavour with 48% cocoa content. Wrapped in bright tissue paper, and finished with a bow, this delicious gift should keep the recipient quiet right throughout the Easter weekend. SOLD OUT! 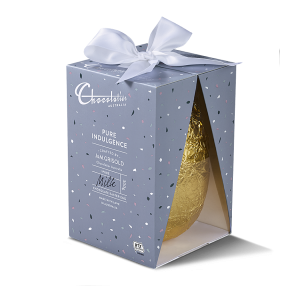 Chocolatier Milk Chocolate Egg is presented in an elegant gift box, tied with a satin r..